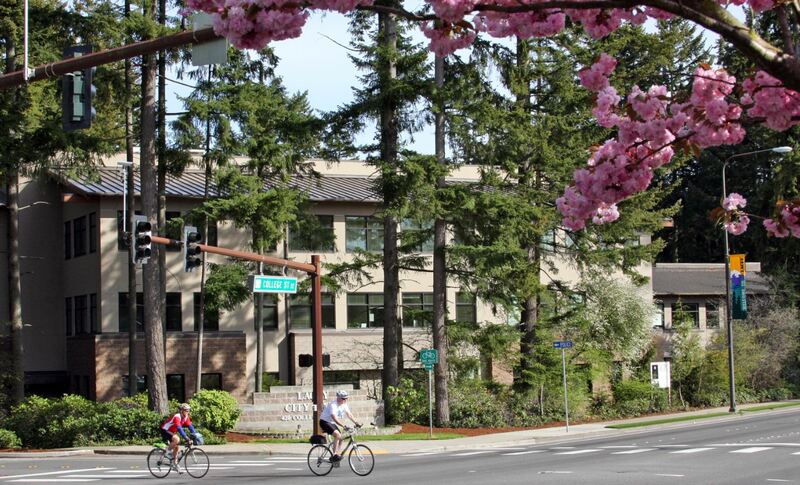 The City of Lacey — one of the first cities in Washington to receive the National Arbor Day Foundation’s “Tree City USA” award — will soon mark its 28th consecutive year of earning the national recognition. The city will proclaim April as Arbor Month during its April 11 city council meeting, and encourages residents and businesses to plant and properly care for trees. Since first receiving the Tree City designation in the early 1990s, Lacey has invested more than $7.5 million in its tree planting and care, and distributed 33,000 free, tree seedlings to residents. The city maintains nearly 6,000 formal street trees along its roadways and boulevards, and features more than 1,200 acres of public parkland and open space — one of the largest municipal park systems on South Puget Sound — much of it permanently preserving large areas of natural forest. The city will host its annual seedling giveaway on Saturday, April 13, from 10:00 a.m. to 1:00 p.m. (or until supplies run out) at Huntamer Park. Species available this year include White Dogwood, Eastern Redbud, River Birch, Sugar Maple, and Colorado Blue Spruce. The seedlings, up to three feet in height, are limited to one per person, so bring the family! For more information, please contact Stephen Kirkman, Lacey Public Affairs, at SKirkman@ci.lacey.wa.us or 360-456-7788.